Kids are obsessed with mystery toys. From LOL Dolls to Kinder Eggs treats, kids love the idea of unwrapping a surprise and getting a new toy. We were recently invited to review the new 5 SURPRISE toys from Zuru and Max couldn't wait to grab his bestie and see what was inside these toys! The 5 SURPRISE mystery toys are priced at £5.99 and boast 5 different toys out of a selection of 150 for each coloured egg. Whilst I'm all for breaking down toy gender stereotypes, it's worth noting that the blue ones are filled with toys such as water balloons, dinosaurs and cars, whilst the pink one is filled with toys such as dolls, glitter pens and slime. 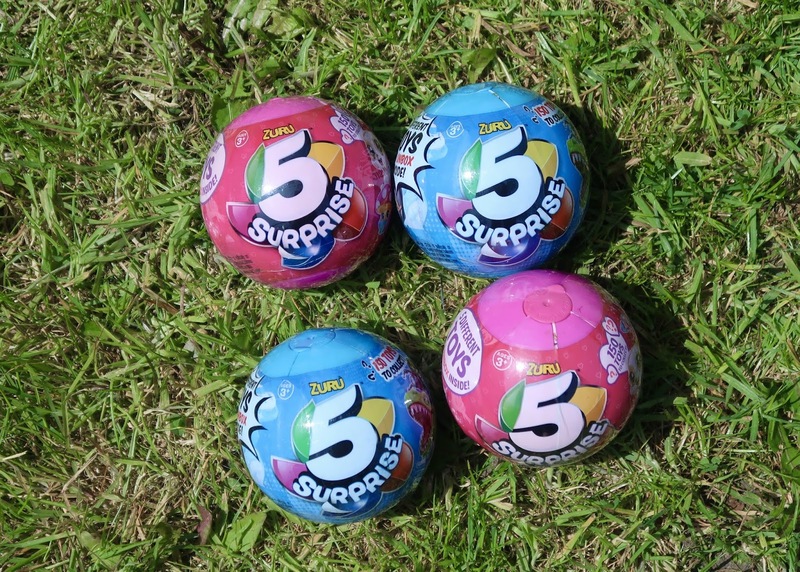 Each of the 5 SURPRISE toys come as a globe that open into segments like an orange. Each of these are sealed leaving the kids to open them one at a time. With two small and three large segments, the kids had no idea what was going to be inside their 5 SURPRISE toys and they were itching to rip them open as soon as I had taken a photo! 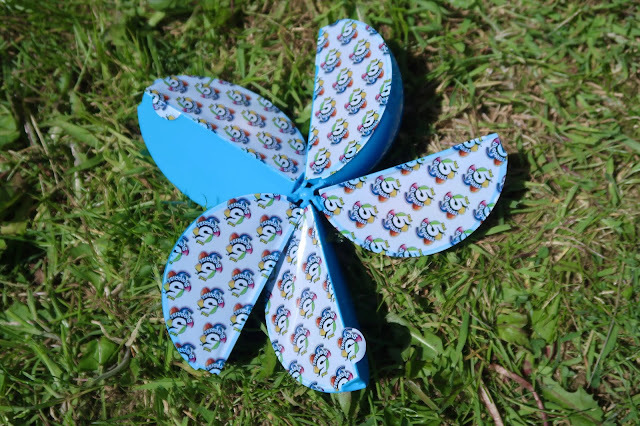 I loved this element of opening them as it made the segments either easy to open and give to your child slowly, but it also made it easy to put the segments together to tidy away once they had played with them. In terms of what was inside the 5 SURPRISE mystery toys, I can honestly say I was really impressed. The kids both seemed to love what they got and they spent a good few hours playing with them and swapping bits amongst themselves. 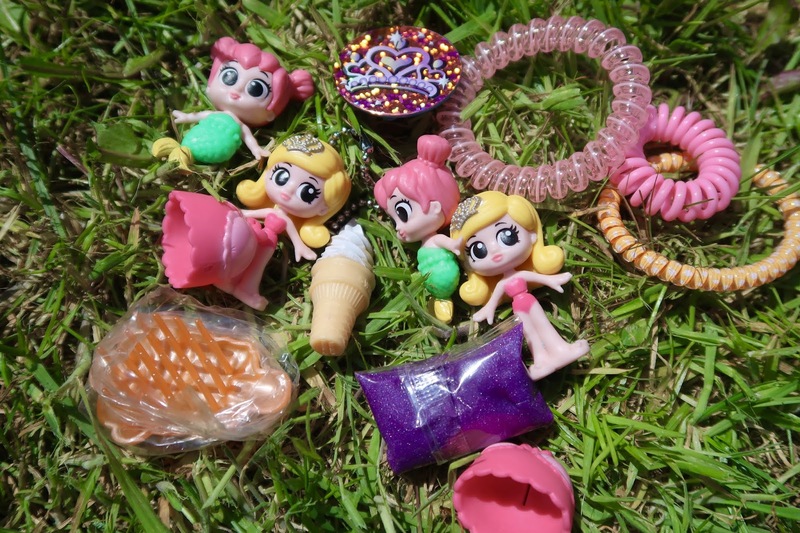 In the pink 5 SURPRISE's there were: two packs of putty, two colour changing dolls, a mini hair brush, two mermaid dolls, some hair bands, a badge and an ice cream key ring. 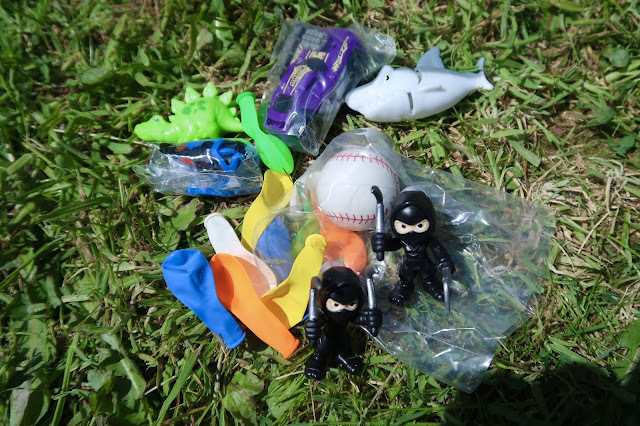 In the blue 5 SURPRISE's there were: two ninja toys, a moveable shark, some water balloons, some stretchy band shapes, a dinosaur, a car and a bouncy ball. Both kids were honestly really pleased with what they got, and whilst there was some duplication you can see that the massive variety of things on offer can mean that you will always get at least one new thing to add to your collection. As parents, I think £5.99 is quite steep initially for a toy, especially one where you don't know the contents. But after seeing the kids have so much fun with them for so long, I realised that actually they are really good value for money and will definitely be investing in a few of these over summer so that I can keep Max occupied on the days that I have to work. *Note: we were sent these to review, all opinions are our own.